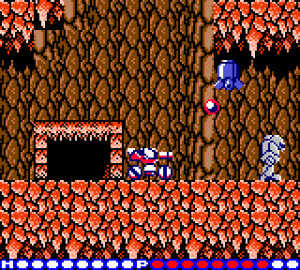 When the original Blaster Master made its appearance on the NES in 1988, it was lauded for its unique gameplay style and vast environment. 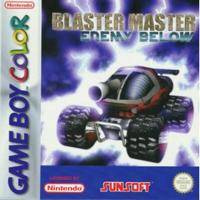 Sunsoft would follow up the game with releases on Sega's Genesis and Nintendo's Game Boy, but it wasn't until it decided to create a sequel for Nintendo's Game Boy Color that Nintendo fans really had something to sink their teeth into. Now, the classic returns 11 years later to the 3DS eShop giving a whole new generation a chance to see what fans of the series already know. Not a lot has changed since the NES release. You start levels inside of your vehicle, which not only features cannon fire, but can also jump. There'll be times when you'll have to exit your vehicle and set out on foot, especially if you're to have any hope of reaching the boss at the end of each area. While manoeuvring on foot is a bit easier, it comes at a price: you're much more vulnerable and your firepower is worse than that of your armored vehicle. The game is set up in an open environment, which means there's a lot of exploration to do in order to locate the bosses. Locating power-ups also play a key role in progressing through the game; many times the entrance to a new level can only be reached with a vehicle upgrade, so while there's plenty of jumping and shooting action to be had, the majority of your time will be spent exploring your way through each area. The controls are once again extremely well implemented, but the four-way walking in the overhead levels can still be a bit tricky, especially during boss fights. It might have been nice for the developers to allow for diagonal movements and firing while in overhead mode, but it's a small gripe really. It is worth nothing that this experience isn't for the faint of heart, as the difficulty is quite high, even early on. The visuals look almost like they were pulled straight out of the NES release for the most part, although there are moments when the visual detail is a bit better. Fans of previous releases should feel right at home with the graphical nature of the game: the animation of the characters and vehicle is quite good, but there are some very minor slowdown hiccups from time to time, although far fewer than in the NES release. The musical side of things remains very similar to the NES release as well. There are a host of amazing chip tunes to listen to as you explore the world and an equal number of impressive sound effects. All that 8-bit goodness that audiophiles have always appreciated from that era are as catchy as ever. Even the few times when the Game Boy Color hardware pushes to keep up with the quality of music being played, it still sounds quite clear. The mixture of old and new elements give Blaster Master: Enemy Below enough new twists to make it a worthy sequel to the amazing original. Sure, many of the same audio/visual elements have been carried over fairly unchanged, but the new bosses and open setting offer up a whole new experience for fans to enjoy. If you haven't given the Blaster Master series a chance yet, this great Game Boy Color title is as good a reason as any. MUST BUY WHEN IN NA. WE NEED MORE GBC! Nice, it looks alright. I wont be buying it though - other VC entries still look better, and I have plenty to play for the time being. I've actually tried playing it, and I dont think it deserves as much as 9/10. 8/10 is more fitting. I thought it looked good and I was planning on getting it but I wasn't expecting a 9. Good to see that its such a great game. I didn't know there were any sequels other than the one on WiiWare. I adored the original on NES back in the day and I can't wait until this lands on the NA eShop so I can give this one a try. @L_Brown Nope, no map as far as I can remember. I was gonna ask if there is a save feature in the game, but I remembered that the 3DS has some sort of save state feature... right? Anyway, if it comes to U.S. (and I actually have a 3DS when it comes out), I don't really know if I'll buy it. It sounds great, but then again I bought the first one on VC because of its high score here and I loathed it, mainly because of its high difficulty and a lack of any save feature. And while the WiiWare sequel fixed the saving issue, it was pretty lackluster because the visuals lost their charm and the feeling of exploration wasn't very exciting. What about Blaster Master 2 on Sega GenesIs? I bought this when I got Pushmo and I kinda regret it. It's a bit too difficult, its hard to find exactly where you go and the action isn't that satisfying. Yup, this is the good GB one. Totally getting it when I get the chance. I hope an American release is announced sometime. Why does everything seem to take so long coming to the US? Why are we always last? I'm not whining or anything, it just seems odd. I mean, it is a downloadable title. It's in English. And it's not like they have to produce thousands of hard copies. The overhead areas are a lot harder in general, thanks to a trio of flaws: minimal screen "real estate", weaker gun powerups, and REALLY useless grenades that have almost zero range and blast radius. There was a sequel on PS1 too. And America still gets some games before Europe. We're waiting for Balloon Kid. America is waiting for this and Lock n Chase which came out the week before. I might still give this one a chance since a portable Blaster Master sounds just great. It doesn't hurt that it's an exclusive GBC game either. Man I remember playing this on the NES a long time ago this game is awesome can't wait till its here in the US. Downloaded, played, really enjoyed. 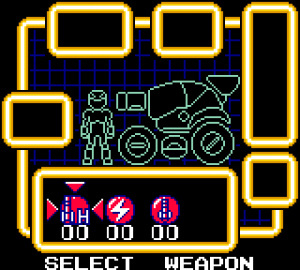 All the Blaster Master games I've played have been great, though I still like Blaster Master Overdrive from WiiWare best. Good review Corbie. "It is worth nothing that this experience isn't for the faint of heart"
Pretty sure that should be "noting." 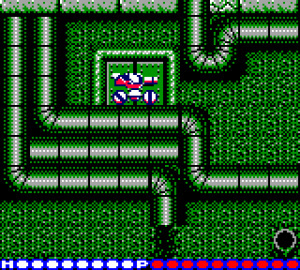 Ah Blaster Master. I still own that NES cart and still havent gotten past area 2. This time will be's different!